BS Stainless Ltd was approached by a customer who was requesting information regarding our stainless steel wire. As always we asked him what the wire would be used for in order to be able to specify what would be the most suitable stainless steel wire for his requirements but no one expected the answer which we got from Mr Robin Wight! 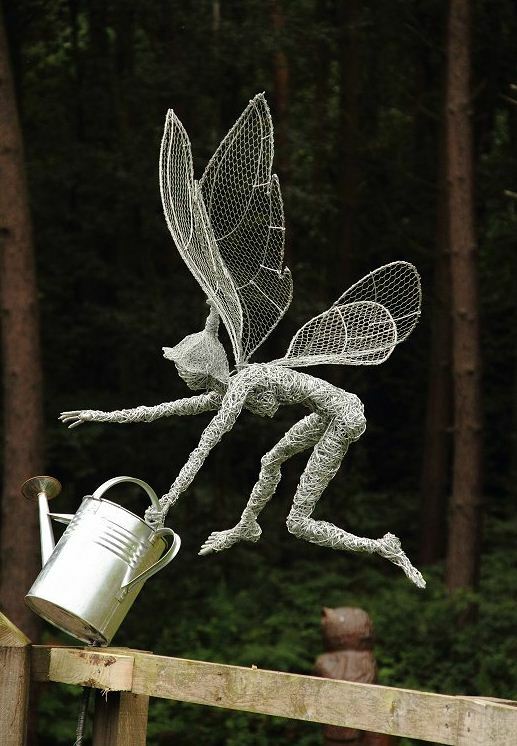 The reason why Mr Robin Wight needed to know the specifics about our stainless steel wire was that he actually wanted to create sculptures of fairies. It was this answer which took us by surprise but as we got to know him a little better we understood where his passion came from and here BS Stainless tells you a little more about the wide range of applications that stainless steel wire has. Currently Robin designs software for a living but just four years ago he moved house and actually lives in the middle of a wildlife reserve. Being quite creative he took up wood carving and this is where it all began for him. After purchasing a brand new camera he decided to have a look around the wildlife reserve and take some pictures in the nearby woodland close to his home. After he had taken the images he returned home to see whether or not his new camera was up to scratch! When he was reviewing the images one of them caught his eye; in the tree he could see what looked like a figure. The figure seemed to be that of a fairy and yes it could have simply been a trick of the light and Robin didn’t obviously believe in fairies it puzzled him that he couldn’t explain what was in the photo. See what you can see in the image on the left of this text. 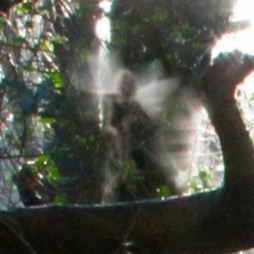 If you look carefully you can see what appears to be the outline of a figure with wings. Again Robin was outside when he was mending a fence; it was this moment when it came to him that he wanted to make sculptures out of wire and this combined with the vision of the “fairy” set his imagination running wild and he was onto something. First of all Robin played around with 3mm galvanised fence wire and after finding that he was unable to do any detail using this he enquired about smaller gauges, he wanted to create wire fairies. Now Robin has worked out the best mm for each part of his fairy creations and so he uses 3mm for the skeleton, 2mm for the muscles and the skin is made from 1.5mm allowing him to add detail and define muscles. After creating a fairy for a customer Robin was questioned about how long it would last and whether or not the wire would rust. At this point Robin thought it was time to get some stainless steel wire because stainless steel was resistant to corrosion. He came across BS Stainless through their website and gave them a call. Speaking to Mark Almond, Robin was surprised when he said that he could have some samples to try bending them. After the samples arrived instantly it was a perfect match; Robin loved working with the stainless steel wire as it was easier and the smaller gauge allowed him to add even more detail, attention to detail was of extreme importance. 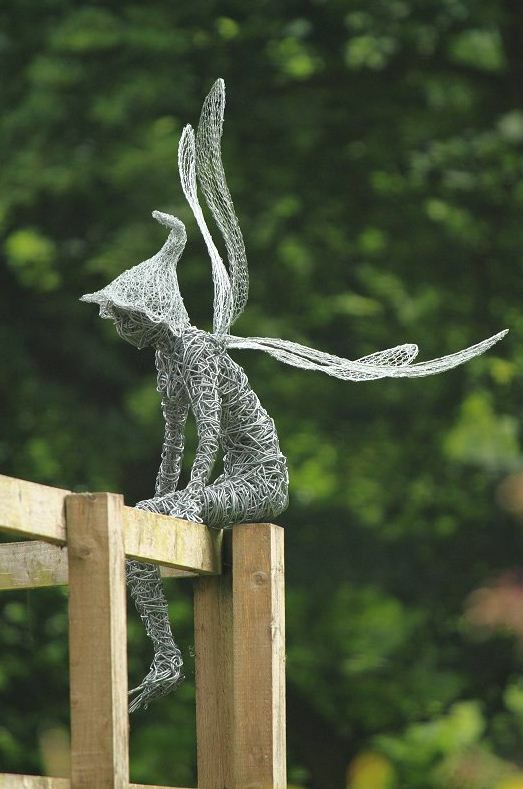 Robin now makes a number of these fairy sculptures from stainless steel wire. The standard sized one which is around 3 foot 6 inches high takes him around 60-80 hours to complete. There have been smaller creations measuring around 6 inches high but unfortunately these still take around 25-30 hours and on completion Robin said there doesn’t seem to be enough fairy to justify the time! We think there simply stunning at whatever size as you can see from the images. They are extremely iconic and the versatility of the stainless steel wire is shown off with such perfection. The finer details which the stainless steel creates are simply breathtaking not to mention the addition of the fairy wings which incorporates chicken mesh into their design. Robin has made two fairies so far out of stainless steel wire from BS Stainless. The first was a small test piece which is about 2 foot high of a fairy leapfrogging and a second which is standard size one 3 foot 6 inch of the reclining fairy. The sculptures that Robin has created from the stainless steel wire just shows that there are a whole range of applications for this fantastic material and this is one of the more eye-catching and attention grabbing uses for it. To have a look at some more of Robin’s outstanding work make then take a look at his website, http://­www.­fantasywire.­co.­uk. For more information regarding our stainless steel wire please feel free to contact BS Stainless telephone +44 (0) 1772 337555 or email info@bsstainless.co.uk. *** Update*** you can now buy wire to make sculptures online from our shop here for next day delivery in the UK also available for worldwide delivery.